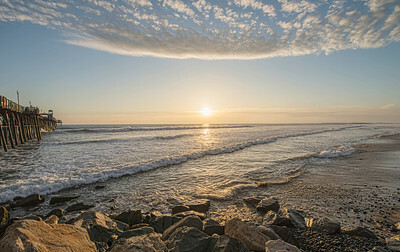 Welcome to my Seascapes Gallery. 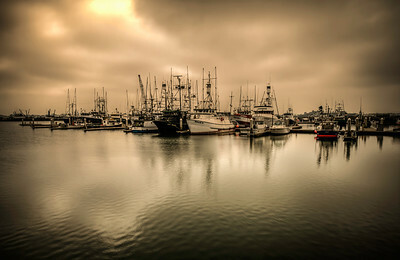 Here you will find an assortment of my favorite Seascape photographs that I created so that I could share them with you. 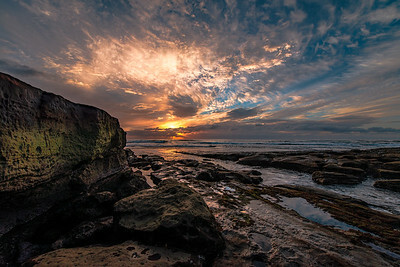 Sunset Cliffs in San Diego California, South of Ocean Beach. 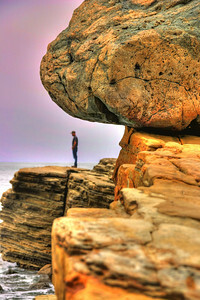 Update: This large boulder no longer rests precariously on the cliff. Either nature or someone gave it a shove. 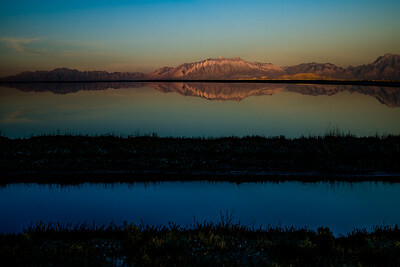 The salty atmosphere around the Great Salt Lake in Utah makes for a natural filter as the sun drops down near the horizon. 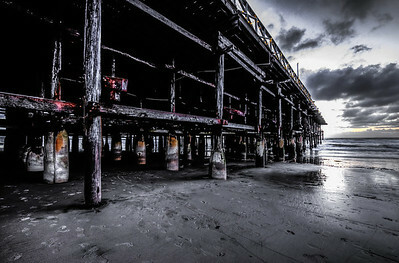 Under the Crystal Pier in Pacific Beach, San Diego, California. Where are all the people? 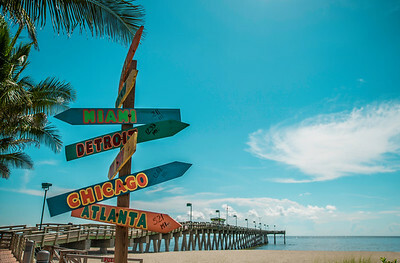 A very empty popular Venice Beach, FL. 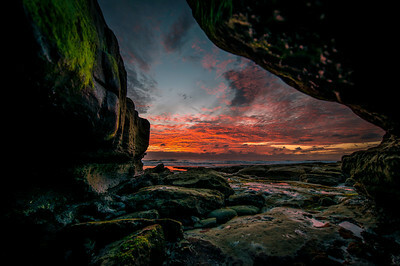 An amazing sunset view from a cave etched out by the Pacific surf. 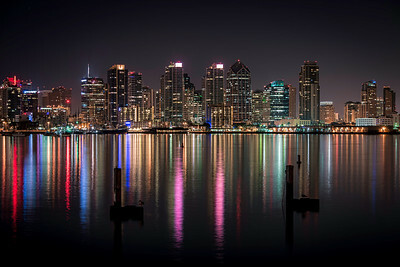 Image created in La Jolla, California. 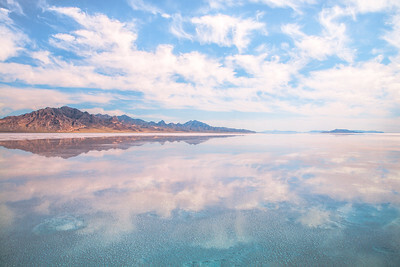 Industry around the Great Salt Lake in Utah has created various barriers and berms for salt harvesting and other operations. 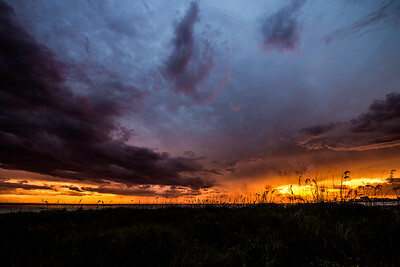 Sunset, lightning and fireworks on the beach of Treasure Island, FL. 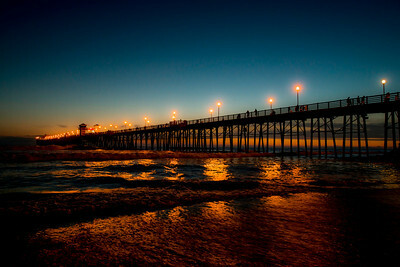 The Oceanside Pier in Oceanside, California. 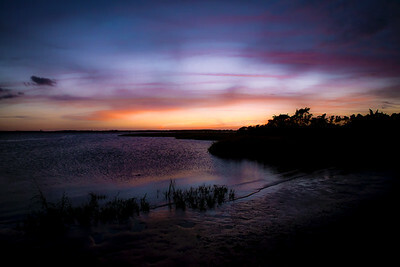 Taken 26 minutes after sun down the lights on the water created the look of cocoa. 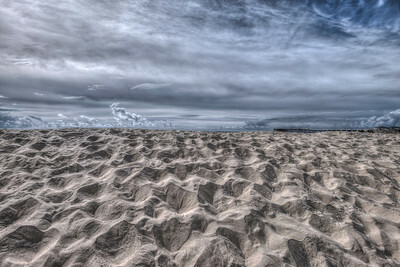 The sandy shoreline at Pacific Beach in San Diego, California adds contrast to the stormy gray skies. Crystal Pier is in the background. Sometimes all the right pieces come together at the right time to create awesome scenes. 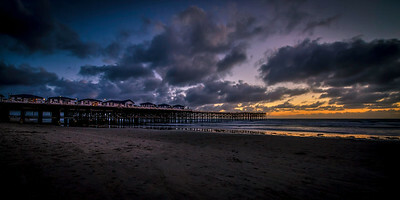 This is was taken at the Oceanside Pier in Oceanside, California. 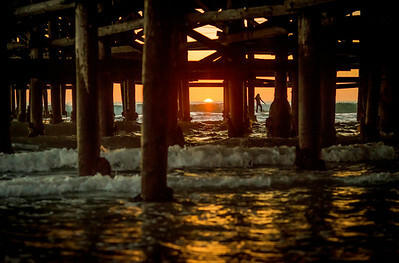 A surfer rides the waves at sunset near the Crystal Pier in Pacific Beach, San Diego, California. 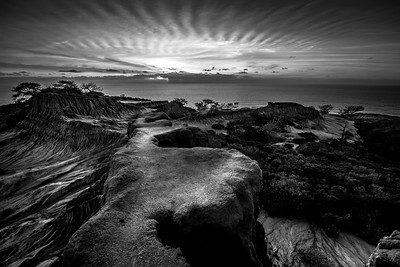 A beautiful black and white image of Broken Hill in the Torrey Pines Natural Reserve at sunset. 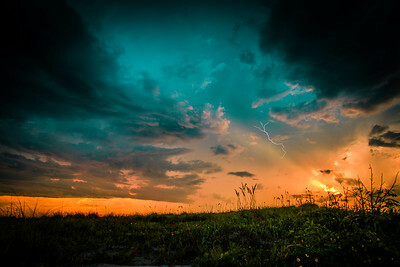 A springtime storm approaches San Diego, California. At the Crystal Pier in Pacific Beach. 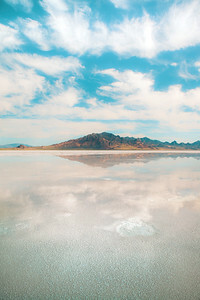 An epic moment at the Bonneville International Speedway in the Great Salt Lake region of Utah.